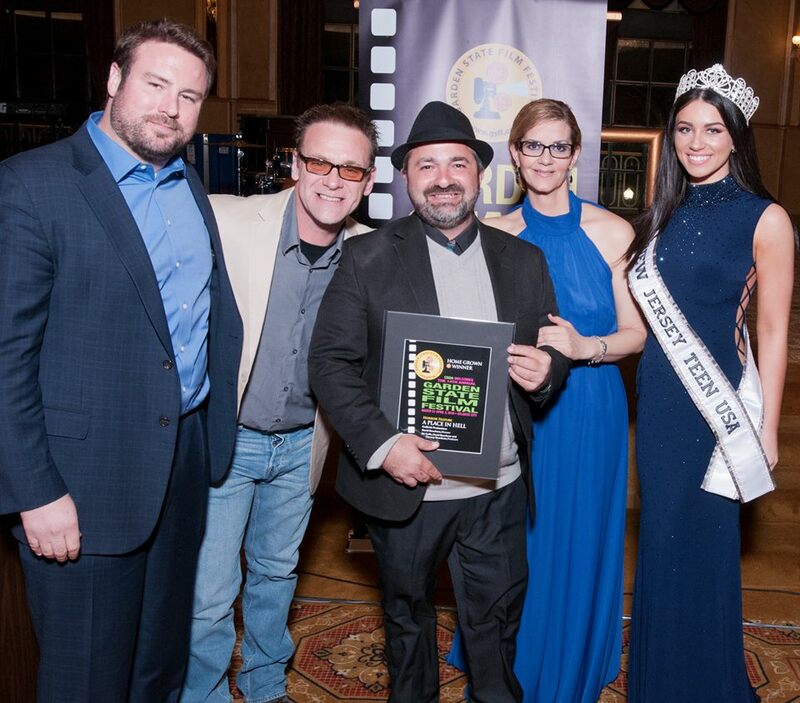 Hollywood buzz after being awarded the Best Horror Movie at the Garden State Film Festival, “A Place In Hell” is now the official selection of the Hoboken International Film Festival. One of the 10 biggest film festivals in the world. This is the 3rd festival following the world premiere at Philadelphia Independent Film Festival. The screenplay tells the story of a disgraced detective on the trail of a serial killer while a group of student filmmakers cross paths at a Halloween fright farm in the wintertime. Set on a Halloween fright farm in the New Jersey countryside, this psychological thriller follows Nicole Hart and a group of film students as they shoot a Horror movie for their final grade. Meanwhile, Detective John McInnis struggles to find redemption while consumed by his 5 year obsession to catch a notorious serial killer. When a winter storm blankets the countryside, and the killer seeks refuge, the students quickly realize they are not alone. While facing his inner demons, McInnis could be their only hope. Featured in the movie and on the soundtrack is an excellent track "Still" from Red Animal War a rock band from Dallas, Texas who after a 2006 SXSW performance the went on long hiatus but left us with some great music.